Every week we hear about new hacks and bugs affecting individuals, companies or entire countries. Come spend an afternoon with us discussing the basics of how the Internet works, how its weaknesses are abused, and how individuals, developers, companies and governments can do their part to keep us safer online. Talks will be aimed at people with little or no IT background to introduce basic concepts of internet security, prompt discussion of recent news stories and recurring issues in online security and provide a foundation for future learning. Topics introduced will include: Bad guys: who they are, what they want and how they get it. Security on public and private WiFi. Internet routing and website names (DNS). 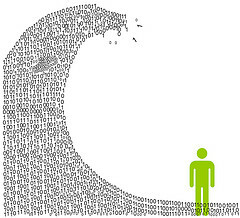 Introduction to cryptography. Website certificates. Email encryption. Signed messages and signed software. 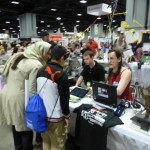 HacDC member Julia Longtin will give a talk at the upcoming 31st annual Chaos Computer Club Congress in Hamburg, Germany, Earth, Milky Way. She will lecture about a process she has been perfecting over the past year for 3D casting aluminum parts via the lost PLA method using repurposed consumer microwave ovens to liquify the metal. We use microwaves to cast aluminum from 3D printed [PLA] objects. This gives us the ability to cast high quality 6040 aluminum pieces using a 3D printer and commercially available consumer microwaves. We manufacture microwave safe kilns for melting aluminum. We create microwave transparent molds that allow us to burn out plastic without heating the mold itself there[by] creating a quicker method of accomplishing the lost PLA process. Julia‘s process is being developed as a contribution to the larger FOSSCar initiative, which aims to use an open source production and development model and recycled materials including refurbished and repurposed off-the-shelf technology to fabricate a road-worthy car. HacDC community member Julia Longtin and collaborator, Mason Mooney, have been developing a fascinating method to 3D print aluminum via a lost PLA method. It is remarkable for its use of commonly available consumer products such as microwave ovens, sugar, and hair spray. They have posted it to Hackaday and we are sure you&apos;d agree that it deserves as many up votes as possible! Please spread the word if you agree! 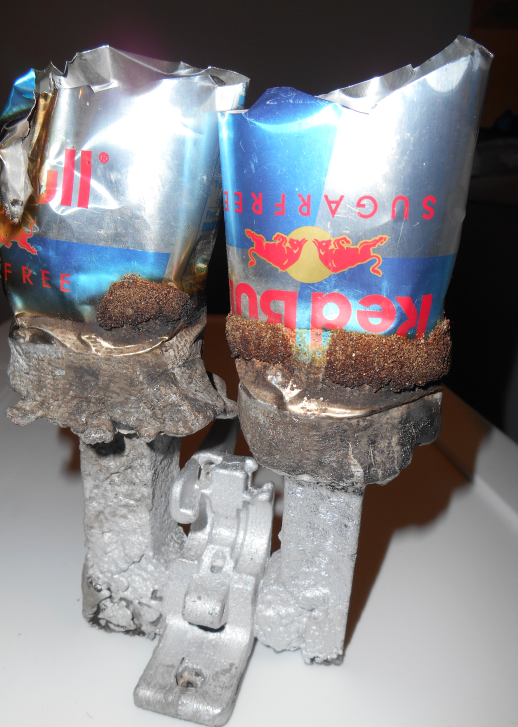 “Our system uses consumer microwave units to perform burn-out of PLA from molds, and a second microwave to liquify aluminium, to be poured into the mold. 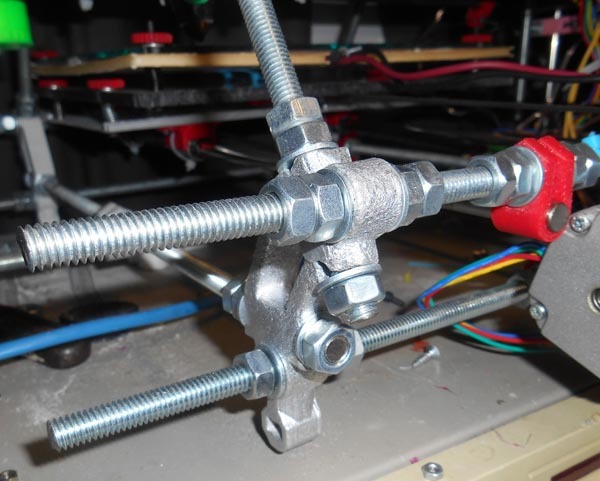 3d printer inspired mechanics will move the aluminium from the microwave, into the target mold under human control across the network, so that there is no risk to the person operating the machine. UPDATE (8/20/14): Julia et al. 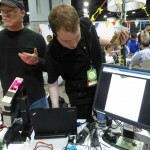 made the front of Hackaday! 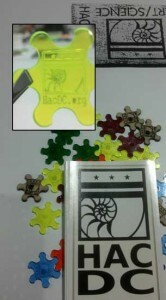 HacDC member, condew, laser cut and engraved 2,042 “splats” of which 1,148 were given away to visitors to our table. Thanks to the generosity of Gary Mauler and Robot Fest we really do have an awesome location. 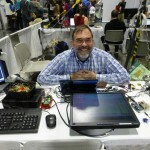 Condew’s Arduino LED and hydrometer demo was in fact the highlight of our exhibit today. And the splats he made are going fast. They’re such a hit! 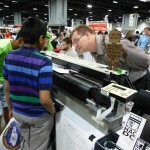 Hope you can meet Danish, he is great with the crowds and has also decided to do add his own Arduino demo for our exhibit on Sunday. The highlight of our day, after the close of Sneak Peek Friday, was a personal demo at our exhibit by the co-Founder of Backyard Brains. Ag4ve, condew, Danish, myself and eventually nearby exhibitors and even passers-by, witnessed an Giant South American Cockroach (Blaberus giganteus) turn right and around, and again, because of a miniature open source neural interface controlled by an iOS app. 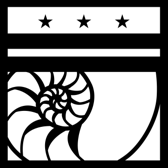 FYI—Backyard Brains is looking forward to mirage335’s BioSignal Amplifier demo this weekend, and would enjoy a “Hangout” with other Biohacker enthusiasts at HacDC if there’s interest. Last but not least, today’s heroes are Lee (N4TCW) and ITechGeek. Lee and his ARRL team literally opened doors for and helped HacDC quickly get to its destination. ITechGeek really busted his hump for us. He setup our very noticeable RasPi server with hacdc.org and wiki.hacdc.org and ALSO went to the space at 05:00, waited, and then helped with multiple transports. Of course, also of note was the staging by condew, Dan B., ag4ve and myself, but ITechGeek and Lee were singularly instrumental in getting us this far. So even with a couple hours of sleep, all in all a good start. 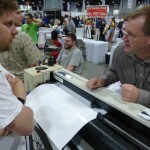 The festival lasted through Sunday and our table had an estimated 3,000 to 5,000 visitors. 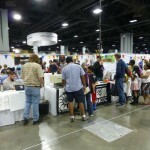 HacDC tables at USASEF 2014. 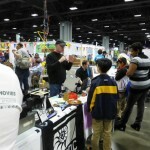 HacDC member condew greets visitors and demoes his Arduino LEDs and hydrometer. 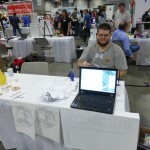 Member, haxwithaxe, demoes HacDC-incubated, Project Byzantium. Rob H. and HacDC member mirage335 demoing BioSignal Amplifier. HacDC members mirage335 and juri_ answer questions. HacDC President Dan Barlow fields questions. President Barlow expounds on HacDC.